Do you have a property located in Sacramento that is about to be sold at a foreclosure auction? There is still hope. You can hire a Foreclosure Lawyer in Sacramento or hire a California Foreclosure Attorney to stop the foreclosure sale immediately! Call us today, we can save your home! The foreclosure crisis hit Sacramento hard. Although the worst is behind us, many residents are still struggling to save their homes. Worse still, most threatened homeowners don’t even consider fighting back. Who could blame them? Practiced lenders send frightening notices full of confusing jargon, threatening to sell the home if payments are not made. 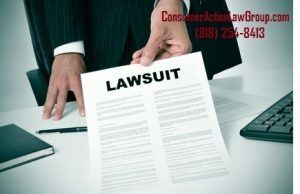 But to know how much of what the lender does is legal, and how much is just bullying, you should talk to foreclosure lawyers in Sacramento, and asked for their opinion and advice to stop foreclosure. First thing first: apply for a loan modification. This does not require legal work, and a Sacramento homeowner can do it themselves by simply sending a written request directly to the lender. If a homeowner applies for a loan modification, the lender is legally required to stop the foreclosure process. Unless there is no time, homeowners should apply for a loan modification before hiring a foreclosure lawyer in Sacramento. Once you do apply, the process can take months to approve or deny. If it is approved, the lender will usually make changes affecting the current mortgage payment, interest rate, loan balance, and term, as well as modify delinquent fees and other components which impact the mortgage payment. A modification is not guaranteed by law, and the lender may refuse to accept an application for many reasons. However, if the lender does accept an application for a modification, they cannot legally move forward with foreclosure. If they do, this is called “dual tracking”. What is Dual Tracking Mortgage Fraud? Dual tracking is when your lender issues a foreclosure notice, begins working with you on a loan modification, and simultaneously moves forward with foreclosure. This is unfair and illegal. Dual tracking is mortgage fraud, and the best way to save your home, in this case, is to file a lawsuit. If you have applied for a modification and received a Notice of Default from your lender, or if your lender has issued a notice of sale, a foreclosure attorney can file an immediate request to stop the sale. This is called injunction, which allows borrowers to save their home without filing bankruptcy. Again, injunctions are most effective when violations against the lender are well-documented. 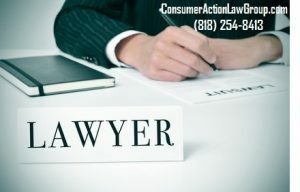 If you are confirmed as a victim of dual tracking or violations of the California foreclosure law [SB900], it’s best to contact an attorney so that a lawsuit can be filed on your behalf. This option will prevent foreclosure from moving forward and is very effective when violations are well-documented. Also, remember to save all documents that might be relevant to your case. Another option to stop foreclosure is to file bankruptcy. Declaring Bankruptcy is a very effective legal strategy for many reasons. It’s the best way to wipe out debts and get a fresh start. In fact, many homeowners have confirmed a credit score increase after filing Chapter 7 or 13 Bankruptcy. California homeowners can hire foreclosure lawyers in Sacramento to file Chapter 13 Bankruptcy or Chapter 7 bankruptcy, to stop foreclosure immediately. 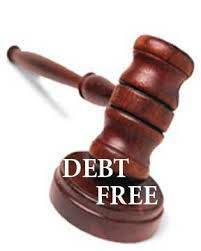 Bankruptcy will eliminate debts while protecting assets like your home and car. Filing Chapter 13 Bankruptcy will allow you to catch up with your payment, by requesting a payment plan. Filing a Chapter 7 will also buy you time since the lender would first have to go to court in your bankruptcy before they could move forward with the sale of your home. Keep in mind, in order to qualify for bankruptcy, you will need to meet the bankruptcy requirement, so it is best to talk to a foreclosure lawyer to see if you are a good candidate to file. Don’t let your lender take your home away. When you need legal assistance to stop foreclosure, Consumer Action Law Group will take the time to analyze your case on the first call. 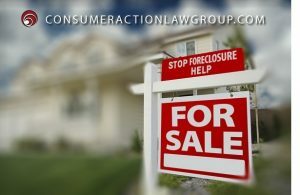 Consumer Action Law Group ranks as one of the top foreclosure firms in California. Their legal team will stand with you every step of the way, and take your case to court to save your home. 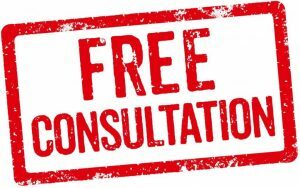 All Sacramento homeowners receive a free consultation. For immediate foreclosure prevention help, call 818-254-8413.